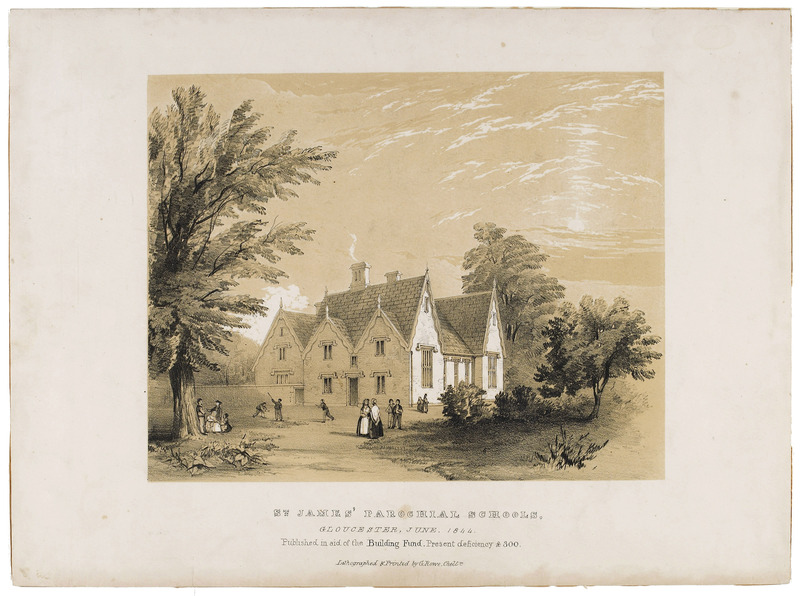 The upper image is a lithograph of St James’ Parochial Schools from June 1844. It was published in aid of the Building Fund, which at the time showed a deficiency of £300 (over £13,000 in 2012 money). The school mistresses stand in the centre with boys playing bat and ball (behind left) and two girls sewing beneath the tree (foreground left). 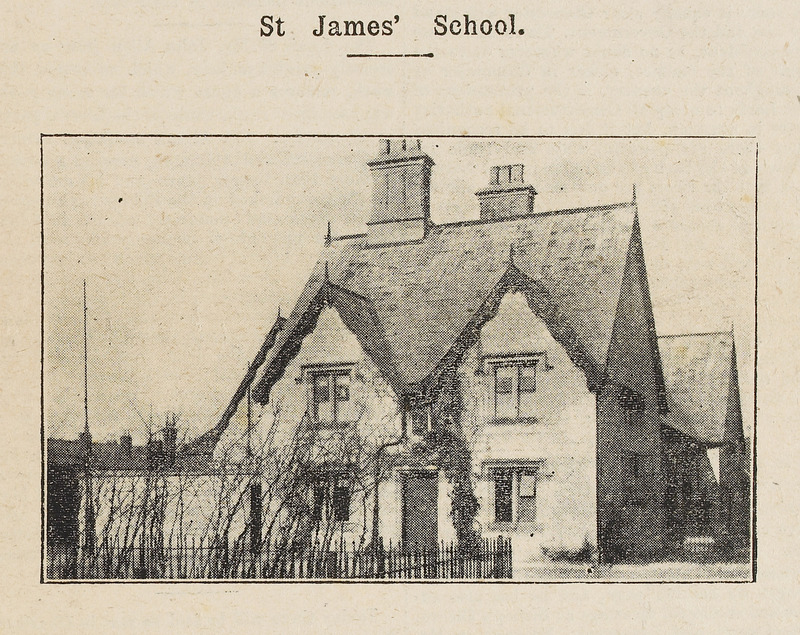 The lower image is taken from 1909. You can see larger images of both items by clicking on them. My great-great grandfather, Henry Kedge, was a teacher (possibly even head teacher?) at St James’s school from approximately 1873 until his untimely death in 1890 at the age of just 37. I have a certain amount of information about him from census returns etc., and even a photo or two, but I wondered if there are any old records that might give me more details about his life and career there? He and his wife Maria lived in the School House (is that still there?) and their 5 sons were all born there. I’m told Henry was also choirmaster at St James Church. He was originally from Uxbridge, Middlesex (close to where I live) and the family returned there after he died, although his eldest son Harry became a headmaster in Cirencester. If you have any information about Henry Kedge I’d love to know a bit more about him.